Vectra Networks, founded in 2012, is a San Jose, California-based startup specialising in machine learning and Artificial Intelligence (AI). Its technology, currently deployed by a few hundred customers across the US and Europe, helps large businesses automate the process of defending their information technology (IT)systems from cyber attacks. In March last year, Vectra’s business caught the eye of Wipro Ventures, the two-year-old venture funding arm of India’s third largest IT services company Wipro Ltd, and it invested an undisclosed amount in the startup’s Series C funding. The deal was, so to speak, a marriage of convenience. Bengaluru-based Wipro Ltd has its own fast-growing cyber security software business, points out Vectra’s founder Hitesh Sheth in a phone interview with Forbes India. “One can imagine how our automation technology will augment this vertical.” As for Vectra, the benefits come in the form of the deep ties its investor has with the world’s biggest corporations. The potential that Wipro has to build an architecture for Vectra to ride on top of is, to put it simply, non-trivial. It was by careful design, therefore, that Vectra became part of the stable of startups in Wipro Ventures’ investment portfolio (nine to date; see table on page 73). These early- to mid-stage companies were chosen to partner Wipro Ltd in building never-before-seen solutions in the era of digitalisation. And with the venture investment unit planning to invest in four to six new startups every year, Wipro Ltd might potentially have a new growth avenue. Venu Pemmaraju and Biplab Adhya, vice presidents and co-heads at Wipro Ventures, jointly spearhead the fund’s activities. 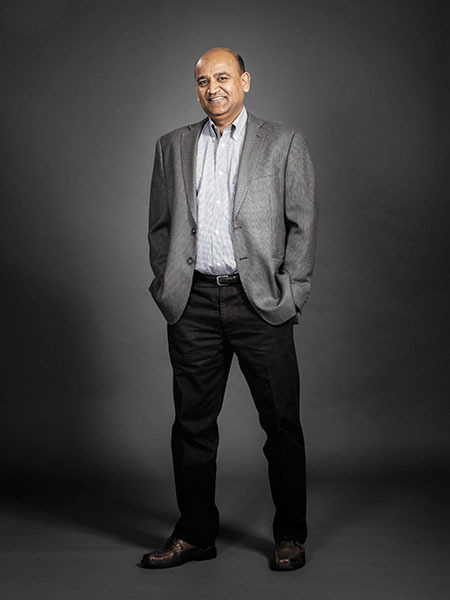 While Adhya, 46, is an old Wipro hand and was previously leading the Oracle practice at the firm, Pemmaraju, 56, has had a 15-year stint at Intel Capital, the corporate venture investment arm of chipmaker Intel. The idea, then, is to position Wipro Ltd as a high-level advisor and a provider of holistic solutions. Such a reimagining of IT services is the need of the hour. “The technology services industry is going through a lot of disruption,” points out Adhya. The aim, he says, is to look at “where the disruption is happening, which are the startups that can help our customers and to find ways to stay ahead of the disruption or at least not be overwhelmed by it”. Relying on the innovation happening within the company, which is the familiar experience of the IT industry, isn’t enough, he adds. Such synergies mean that traditional outsourcing companies can coexist, and not compete, with new-age startups. More and more digitalisation work is being done on the basis of newer technologies like data analytics, AI and machine learning. Startup investments help large IT companies integrate these new technologies to strengthen their own capability and also prevent competitors from gaining access to the disruptive innovations. For now, the investments have been in ‘horizontal technologies’—solutions like cyber security that are sector agnostic and can be used across diverse businesses like banking, health care and insurance. But as the fund matures, Wipro Ventures will start building a portfolio that will also bring in industry and domain-specific capabilities, says Pemmaraju. Hence there will be a lot of circumspection in identifying the right startups—the technology has to make sense for Wipro’s biggest customers and it must also be amenable for Wipro to act as a value-addition provider. Startup investing by large corporations is old wine. For over 25 years, marquee names like Cisco, Intel and Applied Materials have been scouting for investment opportunities in the startup space. Today, Indian IT is attempting to adapt this model to its needs. This has led not just Wipro Ltd, but also larger rival Infosys to partner startups. Infosys started a $100 million ‘Innovation Fund’ in late 2014 and subsequently ramped it up to $500 million. It further reserved half of that to invest in Indian startups. Overall, Infosys has invested in more than a dozen startups, including an India-focussed venture capital fund called Stellaris Venture Partners. This approach provides the investors with a steady pipeline of emerging technologies. Hence, Wipro Ventures remains aligned with the goals of the startups it invests in, which is to grow these companies, says Pemmaraju. “We aren’t doing it to hedge our bets or to put a halo around Wipro,” says Pemmaraju. 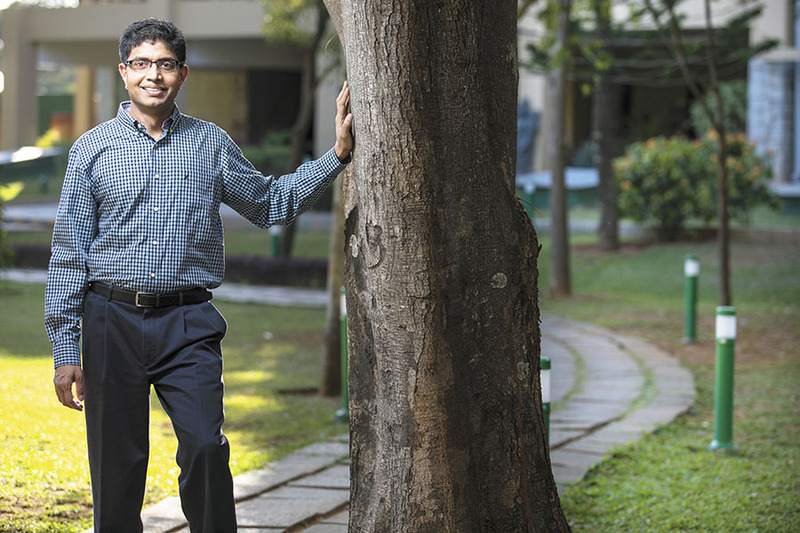 The spectrum of reasons that corporate ventures look at while investing include financial and strategic returns, and Wipro Ventures isn’t after one at the expense of the other, he adds. Strategic returns, from the perspective of how useful the technologies will be to customers, hold the key, and if large customers adopt the technology in a big way, that ensures the financial returns. Adhya provides a generic description of this, as client names are confidential: “In a large pharma relationship in the US, we have seen traction; in a financial services institution in India and the Middle East, too, we have seen traction.” This means, Wipro and the three cyber security startups it has invested in are helping the pharmaceuticals customer prevent theft of intellectual property, and tackle malware at the financial client. Adhya and Pemmaraju don’t see Wipro Ventures as a vehicle for creating an M&A pipeline. Wipro will remain a services company, and acquisitions are about large revenue bases on the one hand, and powerful complementarities with services on the other. Therefore, Wipro will be looking to wrap its services around the products that the startups build. But these products and services aren’t necessarily sold to the same customers that Wipro or the IT sector sell to. As a result, there’s a lot of learning to be done. The difference in the size is also an obvious factor. An acquisition could be half a billion dollars, as in the case of Appirio, the cloud-based software solutions company that Wipro acquired last year in Indianapolis, whereas the typical Wipro Ventures investment will be, say, $5 million in a Series C fundraising. Horizontal technologies will remain the primary focus. On top of that, two verticals that Wipro Ventures has identified are fintech and health care IT. Opportunistically, there could be other investments, in communications for instance, where Wipro itself has a strong team. Wipro Ventures will almost never be the only investor in these startups, although it could fly solo in a given round. It will invariably partner with other venture capital or private equity firms, and remain invested for the long run. This means it will certainly participate in subsequent rounds of funding as needed, says Pemmaraju. This model of partnering startups, then, could mean victory for all—the disruptor and the disrupted.